Power Poker is a new and promising Poker site and has many American players. It has a slick looking interface with stunning graphics and the lobby is easy to navigate. Power Poker offer over $5 million in guaranteed tournaments monthly, turbo tournaments and special Gold Chip tournaments. Power Poker supports Texas Hold’em, Omaha, Omaha Hi/Lo, 7 Card Stud and 7 Card Stud Hi/Lo. Players may use the following banking methods offered by Power Poker: - Visa, MasterCard, Visa Electron, Neteller, Moneybookers, Diners Club, ECO and wire transfers. Power Poker do not offer telephone or live chat support, but do offer a superb customer support that will reply to emails within a few minutes. Power Poker was established in 2009 and operates from Malta. 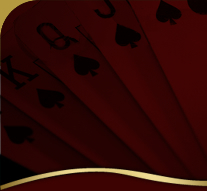 Power Poker offer players a Sign up Bonus of 200% up to $2,000. The majority of promotions on Power Poker revolve around the famous poker player Ilari Sahamies who has won millions over the years. Player will enjoy live action play with him and a few lucky players will get to meet him face to face.